I kicked off the night with a Lis Mara quinella which I actually missed in terms of putting my money where my mouth is, but for the purposes of this blog we’ll treat it as a 1ew bet on both Music (Lis Mara x Radio River) who paid $11.10 and $1.90, and Aveross Brachole (Lis Mara x Gth Aveross) who paid $4.80 for a place. Race 3, Romanite (Art Official x Roman Tear) came 2nd and paid $1.60. Race 4 Nek Time (Gotta Go Cullect x Braithwaite) hung on for 3rd and paid $2.20. I was bullish about Carrickmannon (Lis Mara x Harper Road) and Cullect A Guiness (Gotta Go Cullect x Charlotte Lea) in race 7 but 5th and 7th was there lot in a fast paced race.In race 9 my heart was with the winner (Ashton K, Grinfromeartoear x Spicey) but my 1ew bet went on Easy Rider (Art Official x Divine) and Chasing Shadows (Gotta Go Cullect x Impact’s Legacy) but they couldn’t get into the race and finished 9th and 10th. At Alexandra Park I also started on a good note with Culinary Delight (Lis Mara x Culinary Affair) finished 3rd and paying $3.10, then in Race 2 Van Mara (Lis Mara x Van Sera) rattled home for 2nd and paid $2.60. In Race 6 Jaccka Mara (Lis Mara x Marianna Jaccka) and Tazzy’s Devil (Lis Mara x Tas’s Pocket) didn’t fire, and Wimbaliri (Gotta Go Cullect x Festina Lente) was scratched. So all in all, I “invested” $24 and won $27.30. Just for fun let’s compare how I would’ve gone if I had bet 1ew on all the Bettor’s Delights running at those two meetings. There were 23 starters, 9 of them paying a dividend. I would have invested $46 and collected $31.90. So all in all, thank you to the lesser sires for taking care of me! Tonight I’m watching races in hindsight, and betting against the odds. 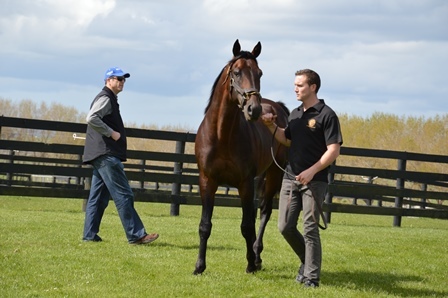 This breeding season in New Zealand three sires are no longer on offer, and in all cases their departure has been predictable, although in two cases it has been very low key. Lis Mara, Gotta Go Cullect, Art Official. All have different stories to tell. Lis Mara was initially promoted as speed, but the impression we have of the whole Cam Fella line in New Zealand is not that – and I’ve blogged on this before. So he had to make breakthrough early results that countered our intuition (like Bettor’s Delight has done was a descendant of Cam’s Card Shark) or we were always going to put him in a different category. LisMara progeny were almost always needing time, and not enough really delivered at the top end even if you did wait. For all our love with Most Happy Fella in Smooth Fella and New York Motoring etc, Cam Fella line has always struggled to get a foothold in these shaky isles. Art Official, lovely looking and well bred, and our connection with Falcon Seelster in his maternal line should have rung happy bells – but he has struggled to get early performers (that so-high bar we set) and also he leaves a much more varied type of foal than his sire, they are not Art Major lookalikes and I think that is what everyone was hoping for – at a cheaper price. Gotta Go Cullect, touted early on as the “heir apparent of Christian Cullen” and boy, did he look the part – athletic, proud, bred to be fast and tough. And he did get very decent books and has left some nice performers, but the clock ticked on and not enough really stood out, and suddenly he became more of a Live Or Die sire prospect i.e. genuine, but take time to strengthen, some have high speed but the actually percentages of top quality horses are not enough for a top sire. Take nothing away from what he will add to a mare’s pedigree. He will be one of those that shows up like an Adios Butler in pedigrees of good horses down the line. I also wonder if his early retirement (from injury) as a racehorse went against him. In the end we wanted him to duplicate his own type and early speed, so it is possible the type of mares he got were not adding much of that themselves. And maybe his own genes were more about toughness than genetically carried speed factors. Cut to the chase, tonight I’m doing some sentimental betting but for a reason. I like to show respect to all those sires who stand here – such a hard ask to survive and thrive in this competitive environment. These are three horses who were excellent on the racetrack and bred to be that way. They carry good genes but how that is expressed as sires (and in our broodmare pool) is another thing. Frankly the fact they have gone is not a mark against them, but just an acknowledgement of how hard it is for any sire to break into the longterm stallion market. Tip o’ the hat to these three horses. Both Art Official and Lis Mara will continue to stand back in North America, and I understand Gotta Go Cullect has been sold to Australia. Tonight I am going “one each way” on all the progeny of these three sires racing at the good meetings at Addington (Christchurch Met) and Alexandra Park (Auckland). Putting it out there now, and so far only two races done while I’ve been blogging, for a 2nd with Romanite, the Art Official 4yo gelding, and a 3rd from Culinary Delight, the 5yo Lis Mara mare. At Alex Park we have Race 2 Van Mara (Lis Mara), Race 6 Jaccka Mara and Tazzy’s Devil (both Lis Mara, although I must confess my bigger bet of 5ew will be on American Flyebye the Tintin In America filly), Race 8 Wimbaliri (Gotta Go Cullect). At Addington we have Race 4 Nek Time (Gotta Go Cullect), Race 7 Carrick Mannon (Lis Mara) and Cullect A Guiness (Gotta Co Cullect), Race 9 Easy Rider (Art Official) and Chasing Shadows (Gotta Go Cullect. Update: Both horses ran at the Cambridge track last night, after elect To Go made it into a much more suitable field in the Waikato meeting that was brought back from Sunday to thursday in a move to help find a space for the flooded out Forbury Park meeting. Elect To Go ran an exciting 2nd after being awkwardly placed 4 back on the inside, coming with an eyecatching run wide. View video here. Souvenir Glory had even less luck in the running, having to drop back from the 7 draw and just ran around nicely at the back of the field, and will be ready for next time. The last month or so has been really enjoyable with a range of horses we have either bred or bought as weanlings showing up at the track. Kym’s Elsu mare Souvenir Glory – 2nd at Cambridge. Thanks to a nice drive from Kyle Marshall she got handy on the pace, and ran home very well wider out. It was a gutsy effort. She starts again this Thursday at Cambridge. It was an Elsu quinella. 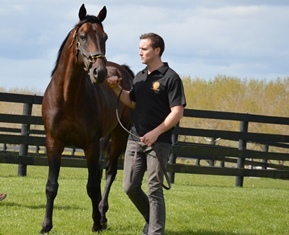 Just an interesting by-note: The talented 2yo Emily blunt, a Rock N Roll Heaven filly bred and owned by Cambridge breeder Pat Laboyrie, has had an eye-catching second and then win at the Nelson meeting lately – in its first two starts. She’s by Pat’s nice 6-win Elsu mare Matai Mies. Nothing wrong with those good Elsu mares! 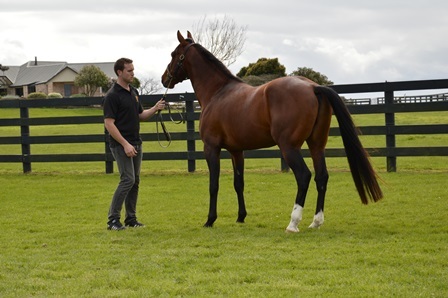 Elect To Go – 2-length win at the workouts at Pukekohe by the Gotta Go Collect x Innsbruck weanling Kym and I bought from the Alabar draft at the 2011 weanling sale. Never been pushed along when young, although she did qualify as an early 3yo with Kym as trainer. We’ve sent her to Geoff Small now to see what she’s got, and it looks like she’s got enough to be competitive. She is the half sister to mare Sovereign Faith, who has done a good job here and over in Australia (11 wins from 51 starts lifetime, $72,234). She’s nominated for the first race at Alexandra Park this Friday, but her draw of 7 is a head-scratcher for trainer Geoff in a tough field for a maiden. In the trot qualifier trial at Pukekohe on the same day, Angus Fogg (Angus Hall x Sun Isa) qualified comfortably for trainer Derek Balle. A gorgeous looking big gelding, he’ll be another we will follow with as much passion and interest as the current owners! Read about him here and his pedigree here. 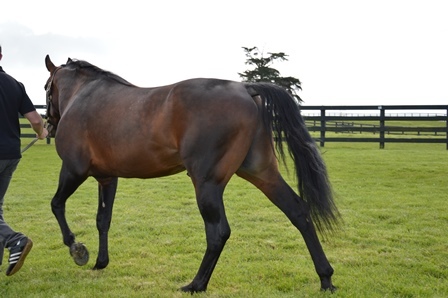 Sun Isa is currently in foal to Angus Hall. In North America we continue to follow the adventures of Destination Moon (Grinfromeartoear x Zenterfold) and Driving The Dragon (Sutter Hanover x Shark Alert), the latter, like Souvenir Glory and Elect To Go, was a purchase from the Alabar draft at weanling sales. Both continue to put their hooves in the till. Gotta Go Cullect had just 4 yearlings at the sales this year, selling for $13,000, $12,000, $7,500 and one passed in on a vendor’s bid of $5000 with a reserve of $10,000. That’s an average of lots sold of just over $10,000, and overall not a bad result compared to some of the other newer sires. His service fee affordability probably meant those who sold yearlings were close to breaking even, and expectations would have been realistic I think. 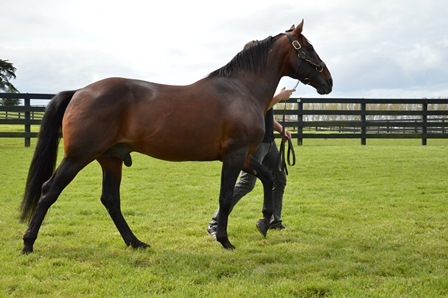 Like Art Official he stands at Alabar in the North Island but he had no representatives at the North Island yearling sale at Karaka. That is definitely a reflection on how he is viewed commercially by top end breeders and buyers who are the core of the Karaka sale. The only photo I got on the day is this one of Lot 62, a nice strong type of colt from a Safely Kept mare who got the top price of $13,000. He’s being led around by Ken Spicer who is quite a tall, solid bloke, so you can get an impression he’s a bigger, bolder type of yearling and quite appealing to buyers. See his promotional photo at end of the blog. Below the photo I do a quick summary of Gotta Go Cullect’s siring career to date. I think he’s filling a great niche in the breed-to-race market, but unless his 3yos really put the foot down on the accelerator, I can’t see many more of his yearlings turning up at the yearling sales. The recent performing families that get good prices would be taking a commercial risk to go to a sire that is not really priced for top-end sales. 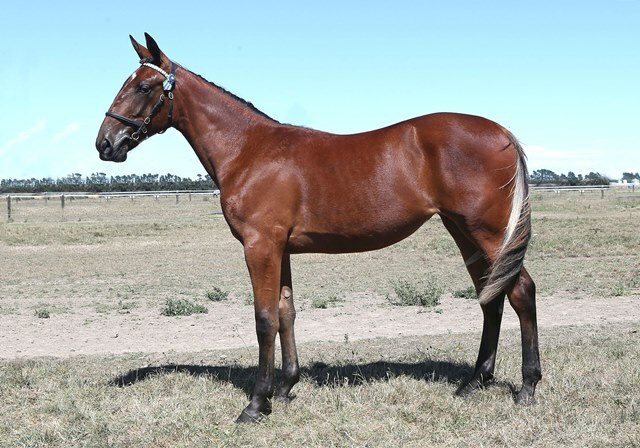 For example, Lot 49, the only filly, was an attractive yearling and is also the half sister to Lochaburn, the 3yo colt by Christian Cullen who has so far chalked up 8 wins from 12 starts. The mare, Suzy’s Delight is back in foal to Christian Cullen now, which makes a lot of sense commercially for breeder Mike Stratford. Of the sons of our great sire Christian Cullen who stand at stud, Gotta Go Cullect has received the most support from breeders so far. He has had four good books of mares and now has just over 220 live foals at age 2 or 3, i.e. racing age. As I’ve mentioned before in my blog late January (New sires trying to gain traction) not many of his foals to date seem to be racing or winning as 2yos; they seem to need a bit more time to develop than you might have expected from a sire whose own sire and dam were both precocious, tough youngsters. Gotta Go Cullect’s stats are now 45 qualifiers and 11 winners (and I see there is some action over in Australia with some of his Australian born progeny, but I’m not going to delve into detail on that at this stage). As a sire, Gotta Go Cullect is hovering around 20% qualifiers to live foals, and 5% winners to live foals to date (bearing in mind that his oldest are only 3). 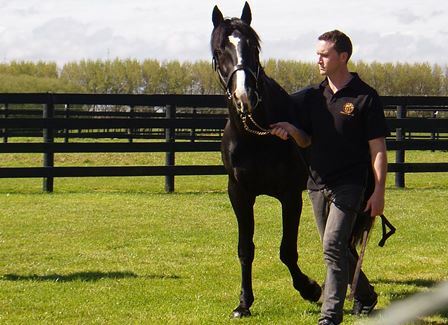 He has 78 registered foals born in NZ who are currently 2yos. Of those, there are 6 starters (7.6%), no winners. 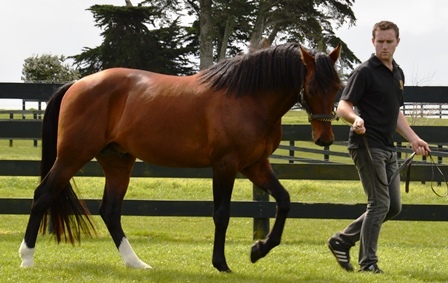 He has 108 registered foals born in NZ who are currently 3yos. Of those 25 are starters (23%), 11 are winners (10.8%). Of course the season has not finished yet and these figures will change over the next 4 months. But there is a bit of a trend which, as I say, is indicating that in spite of his own breeding and own track performance (4 wins from just 5 starts as a 2yo), Gotta go Cullect is not showing up as a sire of precocious horses. Well, he’s like most sires in that way. 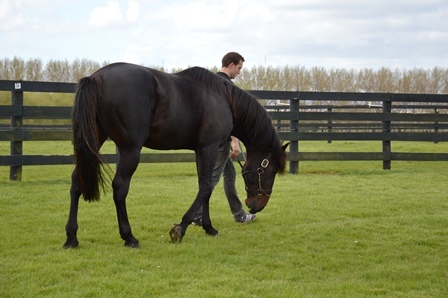 And like most sires trying to make their mark, he will need to counter that by coming up with half a dozen eye catching 3yos who show up at premier race nights rather than on the grass at Rangiora. Royal Counsel is certainly helping the cause with a very good win in the Southern Oaks recently. 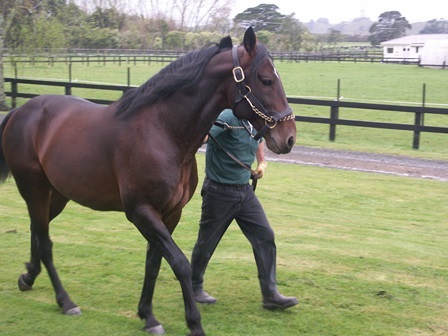 One of the best and first to race here was his son Offtocullect who was exported to Western Australia and has 3 more wins to add to the 4 he got here in NZ and a 1.57.7 MR. He got one of his wins as a 2yo, but so far none of this season’s 2yo Gotta Go Cullects have managed a win. Offtocullect is the sort of horse that catches the attention of future buyers and gives a bit of confidence. 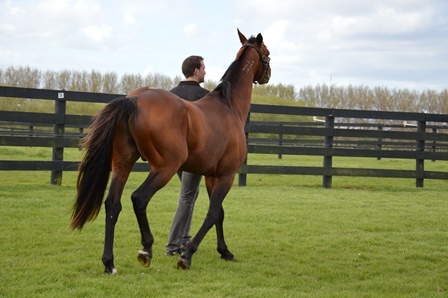 Alabar NZ is selling a full sister to Offtocullect at their weanling sale on 30 May. 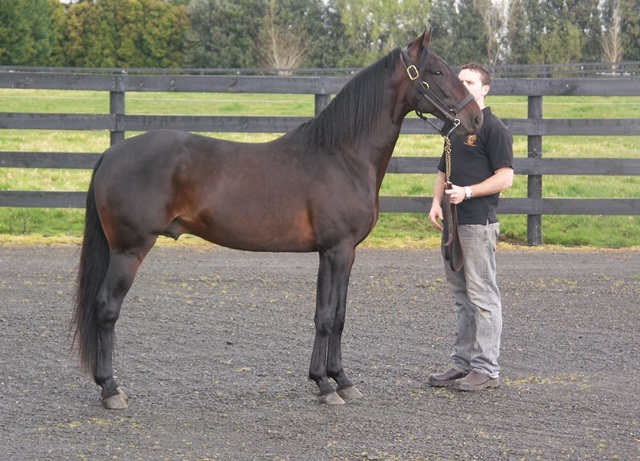 The dam is Shazza’s Dream, a Pacific Rocket mare from the useful Marika/Russianero family. 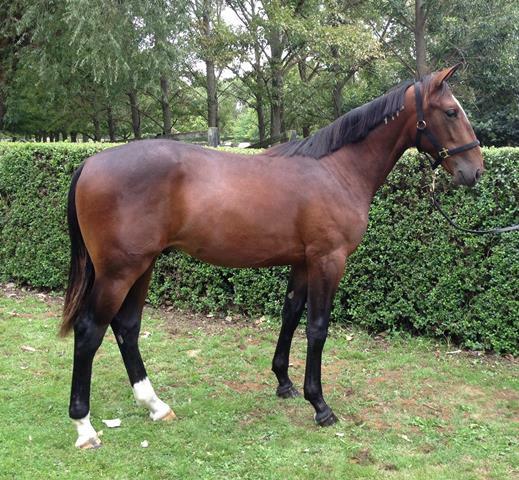 Lot 49 Gotta Go Cullect filly from Washington VC mare. She’s a half sister to the very talented Lochaburn. Lot 62 Gotta Go Cullect colt from Safely Kept mare. Same yearling as in the photo I took on the sales day. Sharing these photos I took, with a word or two that sums up what these sires expressed as they paraded at Alabar on Sunday. And guess what? I was lucky enough to draw the free service to Gotta Go Cullen/Great Success/Elsu – more of that later. These sales are a great opportunity for those looking for value. They lack the hype of the yearling sales and therefore both the vendor and the buyer are likely to have more realistic expectations. At these sales you can also see some of the new sires’ foals in larger numbers than many of us might normally – especially in the North Is where Alabar uses this sale rather than the more risky yearling sales to showcase and move on its young stock. The Alabar inspection day is on Saturday 5 May, and there were plenty of people taking advantage of that last year. 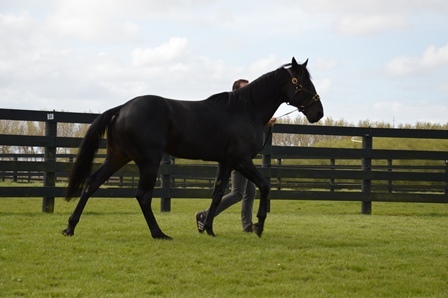 I’ll be particularly interested in looking at Shadow Play’s and Santanna Blue Chip’s weanlings, and checking if some of the other sires are starting to show any signs of ‘throwing to type’ that I noticed from prior weanling and yearling sales. The filly by Santanna Blue Chip out of Alta Magari looks striking in the photo, but there is nothing like seeing these little ones in the flesh. Overall, the Santanna Blue Chips look very nice types. I’m not an expert judge at all (far from it! ), but I like to get an overall impression built up from as many individuals as I can see, rather than base my views on a few horses I might know. At the inspection day, I can ask the Alabar crew about the weanling’s dam to find out what she might have added to the mix – they are a really helpful, friendly team up there. Of particular interest to me will be the Gotta Co Cullects, as I am so impressed by the sire and his weanlings/yearlings to date and now have a half share in a filly we picked up at last year’s weanling sale and is breaking in nicely. 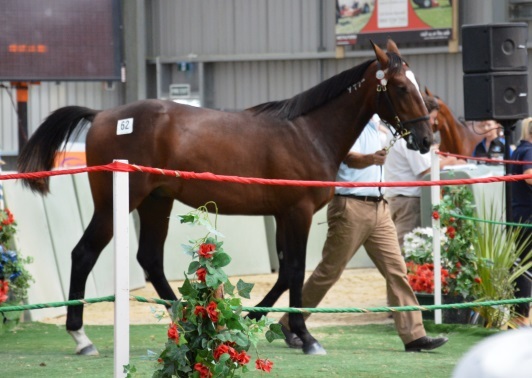 The South Is sale is much more oriented to broodmares with a bit of a clean out occuring. I would be interested in getting comments from those in the South Island who can assess some possible nuggets amongst those horses on offer. More from me – and hopefully others who want to comment – after the Alabar inspection day and sales days.